A guide by Dan Emery - originally posted to the Ponoko Blog. A couple years back I sought to try and quantify the kerf of our laser cutter, or how much material the laser cutter burns away when cutting specific materials. Please note that these are old figures, which we are hoping to update soon - we cannot guarantee super-precise kerf widths at this time. Prototyping for yourself is the best way to guarantee the perfect result but hopefully this info will give you an idea of what to expect. This video shows what I am talking about. 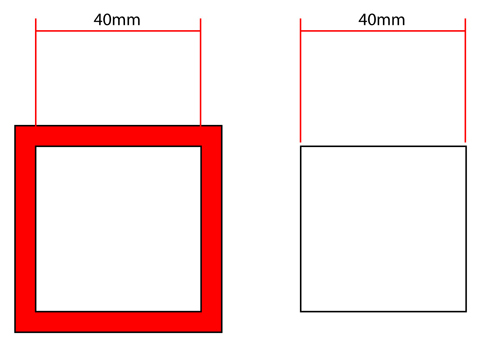 The square labeled '40' shows what happens in the first diagram, or when the dimensions for the hole and the bit to go into the hole are the same. 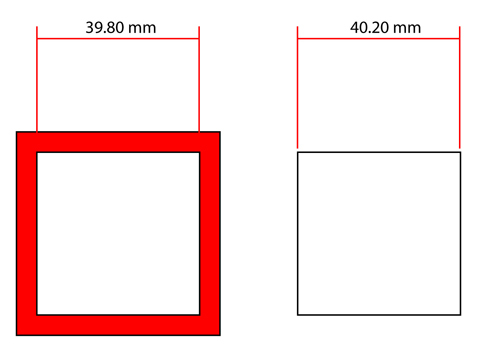 The square labeled '40.20' shows a square drawn to allow for the laser kerf. The parts fit snugly together with a nice click. Slotting joints also rely on the thickness of the material being consistent to be successful. 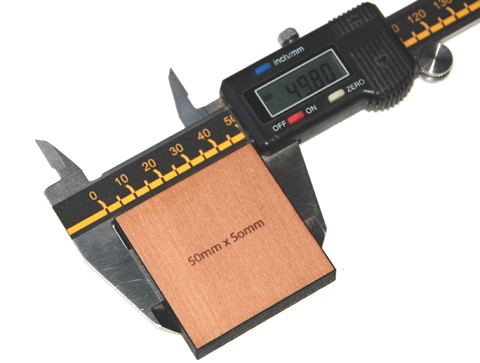 All our materials have a thickness tolerance of +/- 10% of the material thickness.